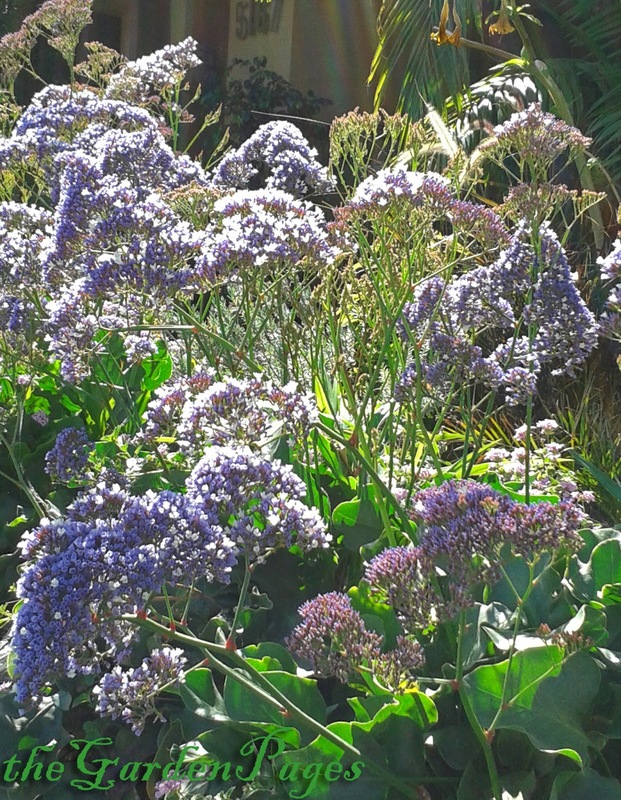 The Sea Lavender is blooming now, but they're almost always blooming here in So Cal, which is another reason why I love them so much. These flowering favorites have large wavy leaves that also look dramatic in flower arrangements. 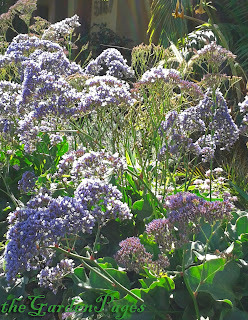 Sea Lavender is also called Sea Foam. Colors range from pale to deep blues or lavender with smaller white flowers floating like foam above a wave of rich color. These flowers hold their color when dried, making them popular for use in dried flower arrangements. Their small flowers attract bees, butterflies and other small, but crucial garden insects. I just got done re-landscaping my main gardening page theGardenPages. Please feel free to drop on by and be neighborly. Thanks!